Horse riding in Halkidiki is one of the best ways to really experience its natural beauty! Trail riding through the unspoiled lands or ride along the beach, it would be the highlight of your holiday. Some tours require good riding skills and knowledge of horses, and others are well suited for people with little or no riding experience. 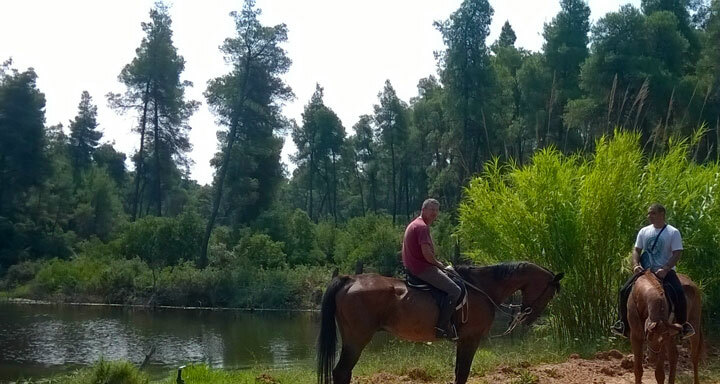 Free Riding: Ride horses in beautiful trails in the forest. Sport Riding: Learning riding from experienced, multilingual trainer with international experience and awards, for beginners and advanced. Courses of show jumping and dressage. Courses of therapeutic riding: The riding is definitely a unique experience that will be unforgettable because you will come close with the horses but also you will discover the natural beauty of the region that will fascinate you.